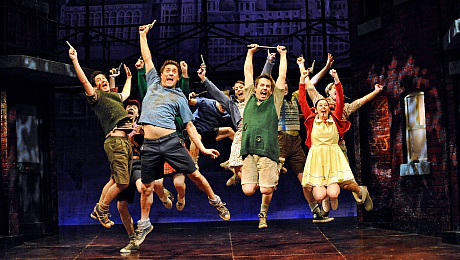 32 years on since its first performance, there are few musicals whose flames still burn as bright nor are there many shows that continue to genuinely move, even on repeated viewing, as Willy Russell’s classic nature versus nurture tale, Blood Brothers. Now well established on a national tour that takes it all around the UK until September, it arrives in Hamilton as fresh as a daisy and with a cast performing as if it were opening night. 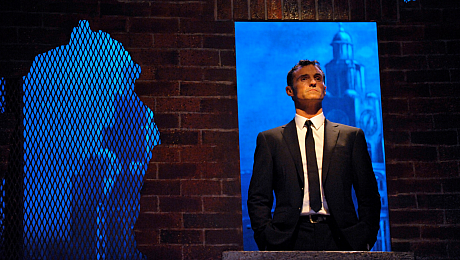 In Blood Brothers the story has always been the thing, and the heartbreaking tale of the Johnnstone twins, separated at birth by circumstance only to be tragically reunited, has lost none of its allure: the packed house were moved, in equal measure, to tears and cheers throughout. Crucial to the success of any production of this work is its cast and the current line-up has firmly established itself as one of the best. It is hard to express the quality of Sean Jones’ performance as Mickey, a veteran in the role, he manages, not only a spot-on portrayal of the character from child to adulthood, but his desire to give his all to the role means he delivers 100% at every performance. 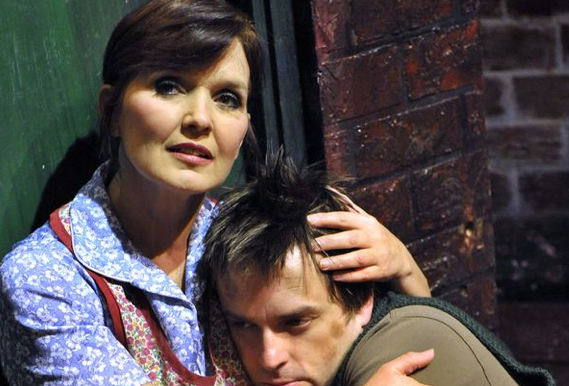 Recent graduate from the Royal Conservatoire of Scotland, Joel Benedict delivers a rock-solid turn as middle class twin Edward as does Marti Pellow as the Narrator, and Maureen Nolan invests her all as the twins’ mother, she is in fine voice throughout and emotionally wrung-out by the end. The supporting cast are universally deserving of praise too, there isn’t a weak link anywhere. Mention must be made of the venue; this 700 seater Edwardian Baroque, town theatre provides an intimacy that is ideal for this show. The close-quarters drawing the audience in, making them part of the story. In previous venues (indeed Glasgow King’s Theatre in November) there were amplification issues; the ear-splitting volume at times jarring with the mood of the piece but in this venue, it was pitch perfect. A flawless production: both a work and a cast of infinite quality, its power remains undiminished down the years – still an absolute must-see. Runs until Sat 21 Feb then touring until September.